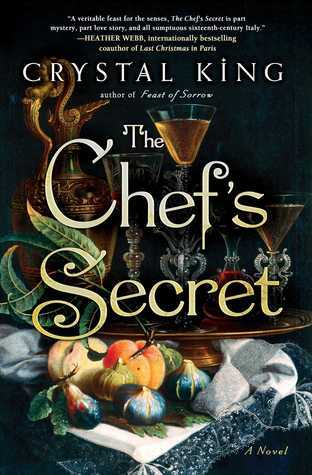 A story set in renaissance Italy and centering around gastronomical delight is every Italophile's perfect idea of a book. This book fit's that box perfectly. The plot is loosely based on 16th century cook(or "Cuoco" in Italian) Bartolomeo Scappi. Scappi served several Popes. He is also famously known for his mammoth of a book of recepies - Opera dell'arte del cucinare. The story begins with the funeral of Bartolomeo Scappi. He bequeaths his estate - his favorite knife, a collection of his recipe and a vast sum of money - to his nephew Giovanni. He also gives keys to his safe containing his personal diary and asks him to burn them. The diary is coded to maintain the secrets, but Giovanni ends up decoding it and stringing together the story Scappi's life in the process. The diary holds treacherous secrets which when fallen into wrong hands would literally lead to the doom of Giovanni and his family. The writing is delightful. The writer took her sweet own time to build the plot thread by thread. There were few place where the story felt like it slacked and turned a bit boring, but just then another plot twist would come in to make things interesting again. I felt the pacing to be rather different and surprising in a sense for such a story line. It felt like a sinusoidal wave with alternating moments of slack and thrill. Being a Vegetarian, the dishes described in the book apart from the pies seemed a bit overwhelming. However, it was quite interesting to read about sugar sculptures and Papal history. Note : I thank the writer & the publisher for providing me a review copy on request via NetGalley!